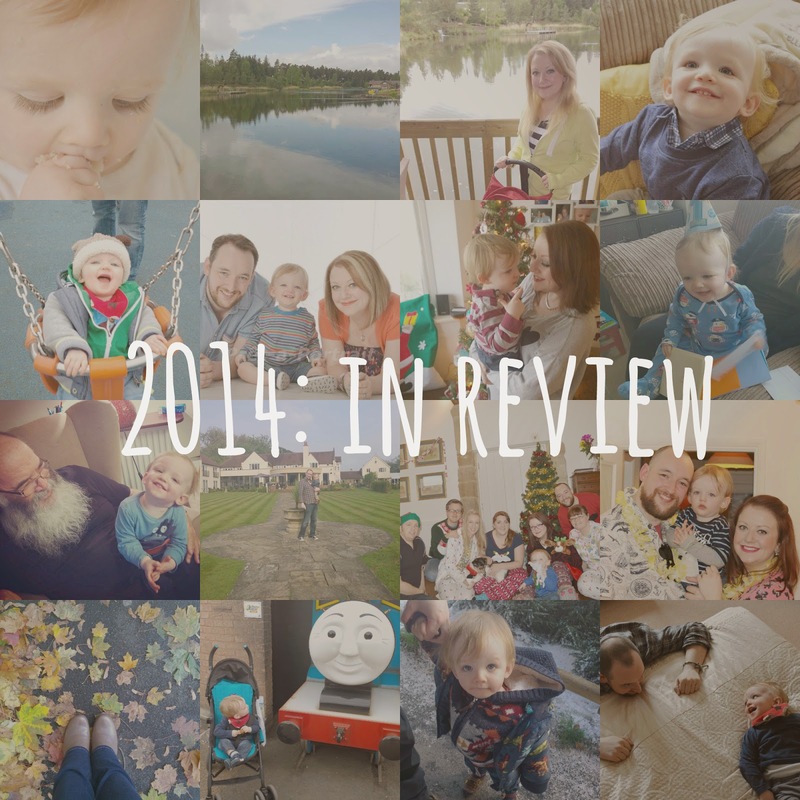 It took some time to write my '2014 in review post', looking back at everything I have done this past year and reflecting on the different things I have blogged about. It was a nice thing to do and it really helped me to appreciate exactly what I have done, what I've achieved and the memories we've made. Sometimes it's all too easy to forget and it's just another reason why I love having this corner of the web to call my own - so I don't forget. The small things or the big things. The silly things or the things that really matter. Last year, I wrote a post about my hopes for 2014 and reading this back, some I have been successful in making come true and others still need a bit of work. Like all New Years' resolutions I guess. * Blog because I want to blog and not worry about the rest - every month when the Tots100 scores come out, I always see people commenting about how they don't understand how the rankings are calculated and they're disappointed with how their blog has been 'judged' despite their best efforts. I see this and I understand this but I also understand that the reason I blog is for me (as a hobby, to share my interests and to meet like-minded people I wouldn't otherwise have the chance to meet) and for my family (to document our lives, the ordinary and the extraordinary, and keep a record of Ethan's childhood for us, our family and our friends to enjoy). It's also for other mamas who are looking for a friendly chat or a bit of support, as we all need this from time to time and blogging is one way you can make these connections. It's hard not to feel disheartened when cold, hard stats don't seem to support everything you've poured your heart and soul into but really, they don't matter. You can only be you and you're the best you there is (I'm sure that's something from Dr Seuss or something!). I'm sure there's a few other, more specific things I could add, but that's the general jist of it all. I'm very happy with my little life and I just need to take more time to appreciate it, myself and those around me. Here's to a happy New Year for us all. Let's make it a goodun'! So, Christmas has been and gone and a new year beckons. Inspired by several other bloggers who have posted about their favourite posts of the year that's been, I wanted to join in and share my blog year in review. It's been really fun to look back at everything we have done as a family and to re-read some of my past posts. Grab yourself a cuppa as it's a big one! 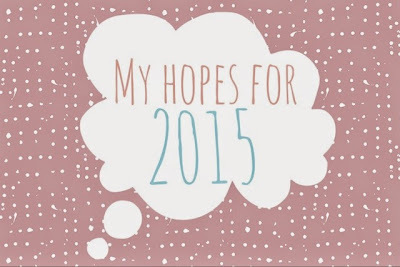 I've summarised the highlights from each month and my favourite posts and I hope you enjoy taking a look back at 2014 with me - and thanks for being a part of my year! This was a month that in all honesty, I had been dreading. 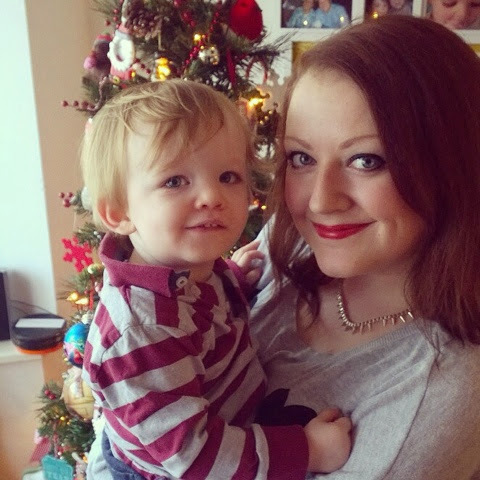 On 5th January, maternity leave ended and I went back to work, four days a week. It's such a weird concept to think of not working and having so much time away to look after your new baby and then it's really hard to get your head around the fact that someone else will be looking after your little one, the most precious thing in the world to you, whilst you go out and earn those much needed pennies again. It was hard, but perhaps not as hard as I first thought, as a new routine quickly establishes itself and I just made sure to make the most of my time with Ethan on my day at home midweek. I was also co-organising the first #midsblogmeet event in February, went to a craft bloggers meet up, learnt more about my favourite brand, Cath Kidston, and announced that I was a member of the Center Parcs family blogger club - happy days! Hubs and I also had a weekend away, just us two, to London as a surprise trip for his birthday, to see Les Miserables and we stayed at the quirky and fabulous Citizen M hotel. 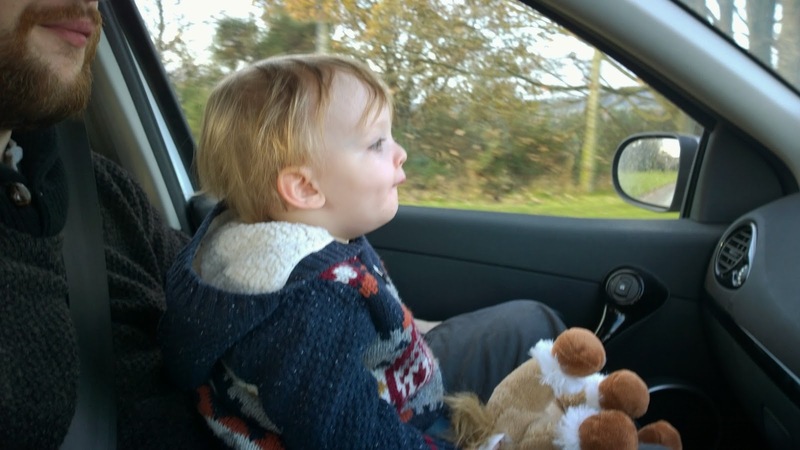 This month didn't get off to the best of starts and on one particularly unlucky day, Ethan was called out of nursery sick for the first time whilst I was in London and then some so-and-so hit my car when it was parked, denting my rear passenger door, and left without a word - it just wasn't my day. 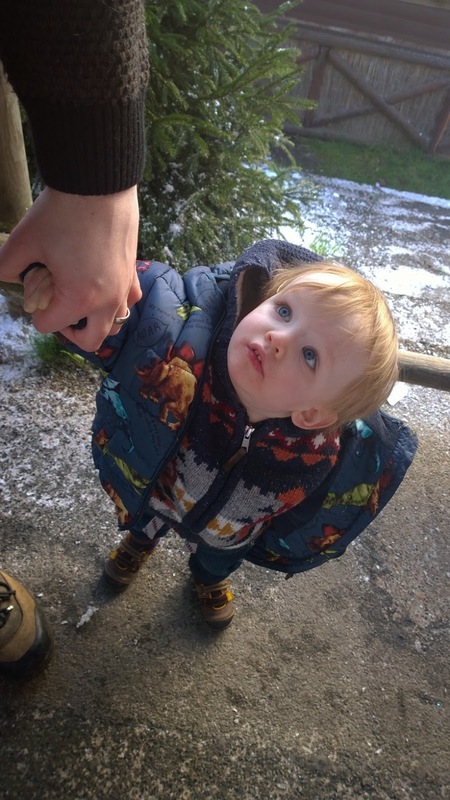 In other blog news, I wrote about Ethan's teething troubles, continued my #treatyourselftuesday and #midweekmealsformums posts and of course, it was the first #midsblogmeet, which was a lot of hard work but it was all worth it and the day went really, really well. 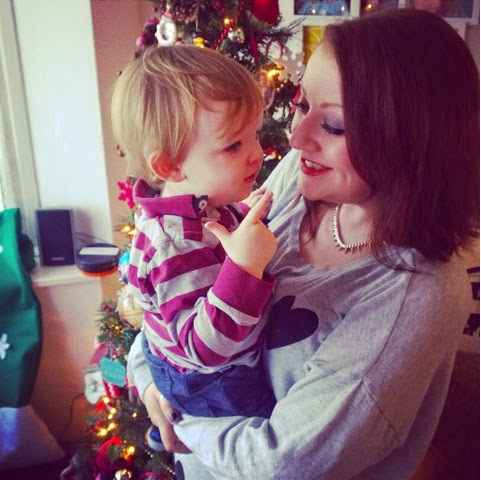 I also wrote about how being a mum just keeps getting better - and I couldn't agree more with that sentiment today. This was a special month for me as it was my first Mother's Day and I couldn't wait to celebrate it with my little man. It was also a month I seemed to get a bee in my bonnet about a few things, from the cost of childcare debate and how can you really put a price on the care of your child to 'help, my baby's stolen my brain!'. 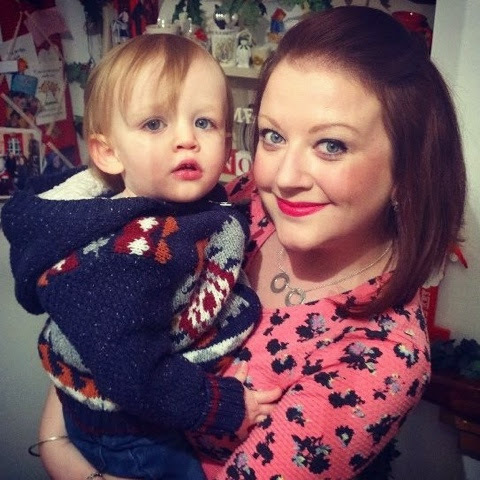 I also had a huge response to a post I wrote in defence of mummy bloggers - it was great to see and share views with other people on this often contentious topic. 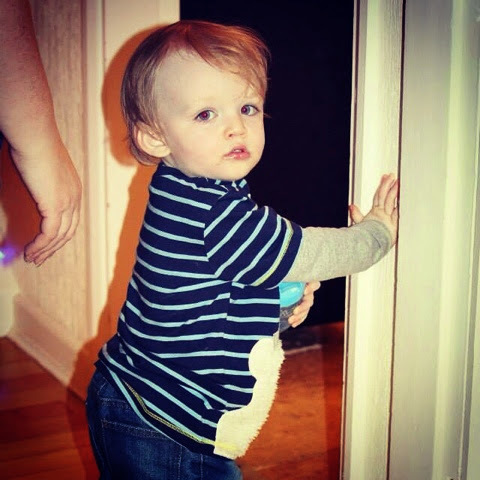 I had quite a varied month on the blog, posting about things that had got people talking or me thinking and sharing my ideas and plans for both Ethan's first birthday the following month and the second #midsblogmeet I was organising with my blogger pal Emma. 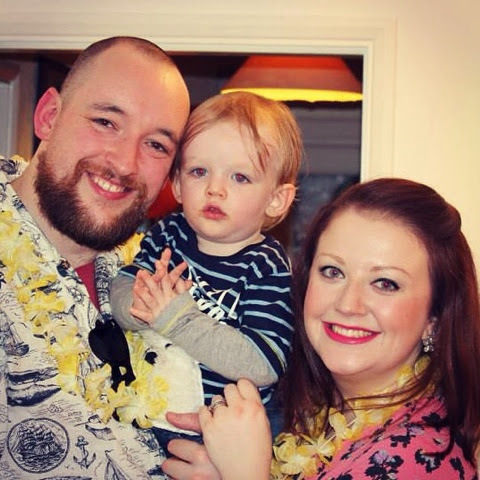 I also started what became a regular feature, #meetamum Monday's, as a way to connect with and introduce other mummy bloggers through my blog. Over the next few months, I had 15 lovely mamas take part in this guest feature and I'm really proud of this and so glad to have been able to 'meet' other bloggers. 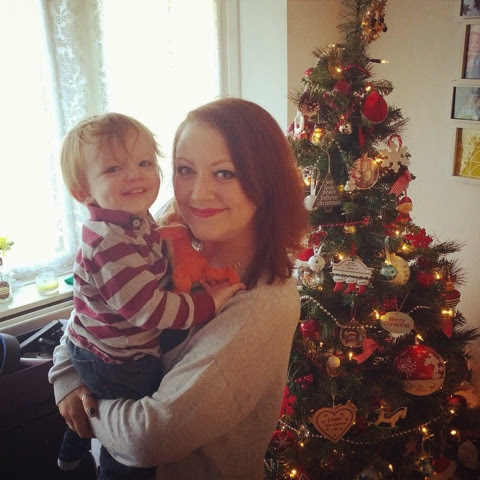 Looking back, my favourite posts that I'm quite proud of are: who are we to judge, a post about Natasha Hamilton and her new baby announcement, to never know who she was, all about my feelings as a mum following the death of Peaches Geldoff, and how to make the most of your time as a working mum, a guest post I had written for Alex at Bump to Baby. This was a big month for us and one which I had been counting down to for a long time. 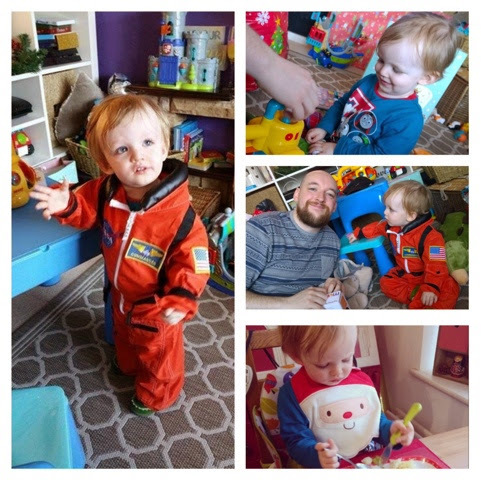 On 5th May, Ethan turned one and we were just so proud of our little man - I honestly thought I was going to be an emotional wreck the whole day! I wrote this letter to him on the eve of his first birthday, took photos of Ethan doing a really fun cake smash at home, posted this at the exact time he had been born the year previous and shared Ethan's first year in photos along with a lovely poem I found. Looking back, I think I worried too much about the kind of party to throw and what we 'should' do to celebrate. I can't help myself get carried away sometimes but regardless, we had a wonderful day and Ethan had such a great time. 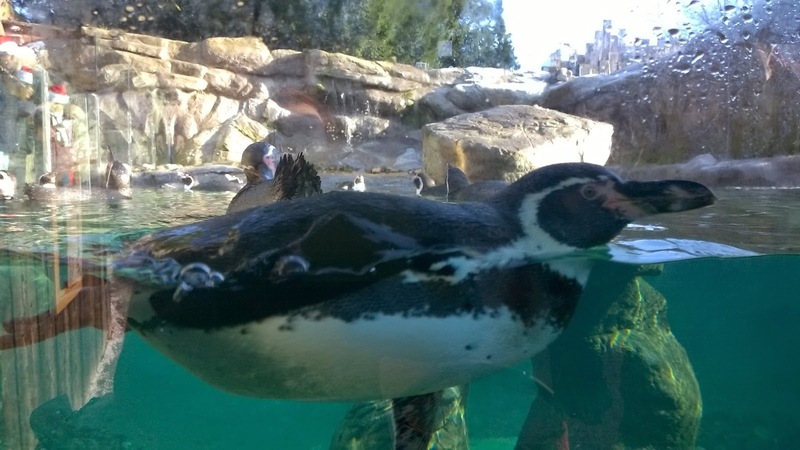 I got to enjoy a wonderful spa day with my hubs at Center Parcs Sherwood Forest (and my post was later published here) and then ended the month with a mock 30th birthday celebration at Center Parcs Whinfell Forest, Cumbria, with my best buds, hubs and bubs. 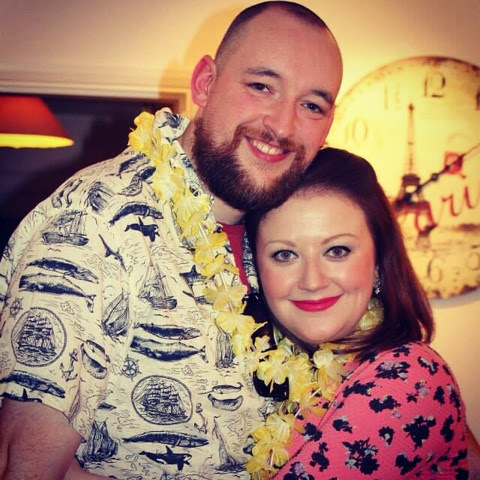 It was the perfect Bank Holiday weekend and we enjoyed cocktail evenings and dinner hosted by different people each night, including a murder mystery theme on my night, called 'Come Die With Me'. Oh, how I tickled myself with that pun... for weeks! It really was a busy month and I also posted about the pressure on celebs, and mums, to get back into shape after having a baby as well as sharing our lounge mini makeover. The second #midsblogmeet took place on 31st May and I wrote about all the fun we had at Cherry Reds in Birmingham. I really enjoyed this second blogger event I co-organised with Emma and it was so nice to take a day out to enjoy a good chat with other like-minded people - something I very much needed. I also wrote about a woman's right to choose if and when to have a family, following comments made by Kirstie Allsopp, how Ethan was tottering on the edge of toddlerdom, what I liked to call the toddler tapdance and how Ethan's new found skill of pulling himself up to stand meant that we had a kind of cushion assault course fashioned in our lounge. June was also a big month in the blogging calendar and I went to BritMums Live for the first time. It was such an intense, inspiring and slightly overwhelming two days, being in a bloggers bubble, but I got to meet a lot of people face to face for the first time and it helped to build and solidify friendships. Oh dear. It was time to turn 30, for real this time. I changed my hair, going much shorter and much darker, as I felt a new decade deserved a new 'do. Hubs, bubs and I took my sister-in-law and her fiancé to Center Parcs Sherwood Forest to celebrate and we spent a week cycling, swimming, eating and relaxing - we even made a video of our break. Other posts that month included my top toy tips for toddlers, picnic planning, another spa day with my bestie this time and a skincare 101 piece about my beauty tips. I also shared my light therapy journey to deal with my psoriasis. It was a big investment in time and it did work, although as it stands today, it has returned to a similar level as before the treatment - such is the case with this skin condition. This was a month of firsts for my little boy. 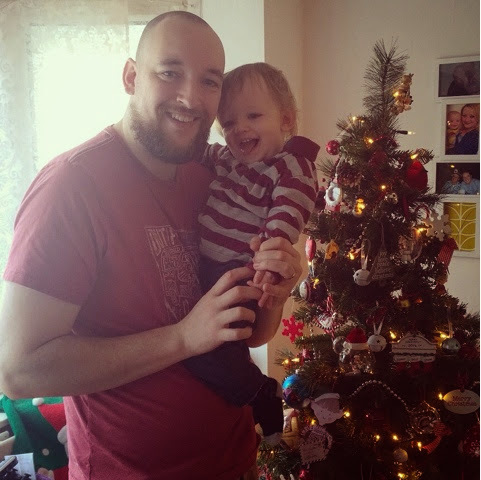 I wrote about how he was my inbetweener at 15 months, learning some things and not quite ready for others, his first haircut and his first pair of proper shoes. I also my thoughts on children being free to play, the roles I felt I played as well as my husband when with Ethan and my admiration for single mums and dads as Ethan had been a little tricksy due to teething and so on. I think I was finding things a bit tough that month and questioning myself a lot. 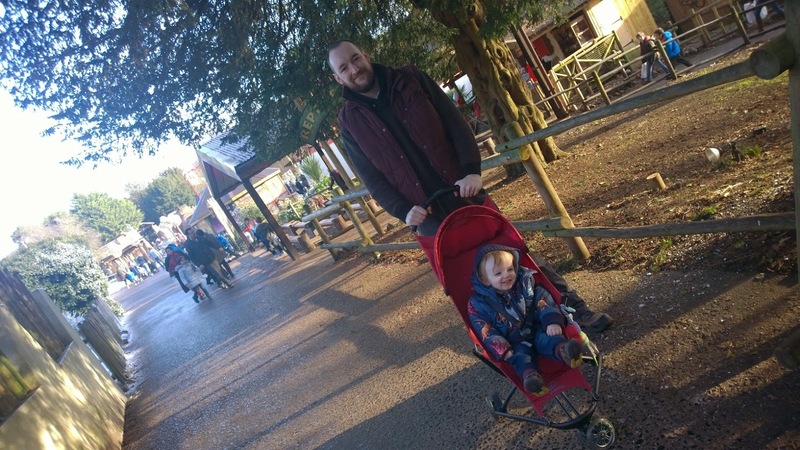 We also went to the National Forest Adventure Farm and generally tried to get out and about as a family as much as possible. We had some holiday time this month and spent some time getting the house into order, storing or selling some of Ethan's older toys and trying some new things too. We visited our favourite people for a weekend that consisted of a beer festival, Ethan crawling up the stairs for the first time and a new tattoo for me. Whilst on our travels 'up North', we visited Ox Pasture Hall Hotel and had a lovely little break, which you can read about here and here, and when we came home, we revisited our wedding venue with Ethan on our 4th anniversary. I posted an update on our weaning journey, as Ethan learned how to fee himself, and wrote about when to have another child, thinking about the pressure on people to get married, have a baby, have another baby, following the royal announcement that Wills and Kate were having bambino number two. 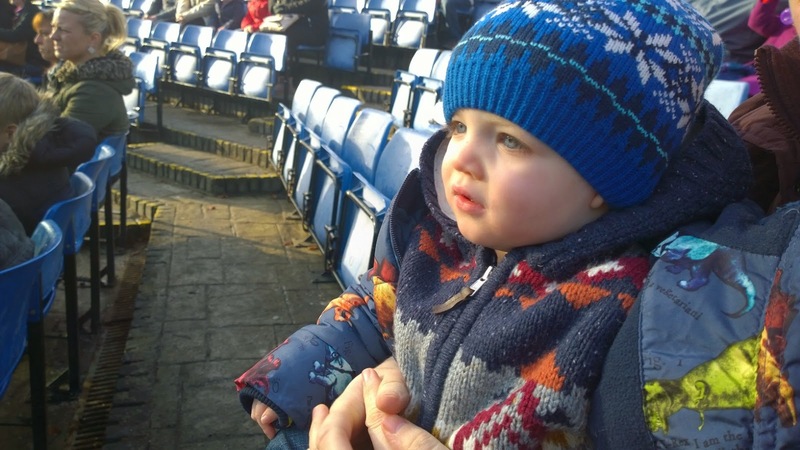 I also took my train-spotter in the making to Thomas Land for the first time, which is LOVED - so much so, I think we're going to take him there on his second birthday. 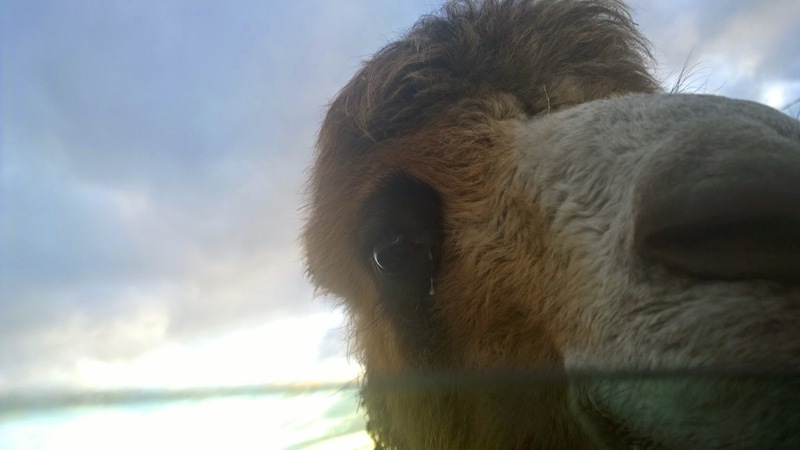 And to finish what was a very busy month looking back, my little blog had a little makeover. Phew! After a busy September, I had a somewhat quieter October, mainly trying a few new things and posting about things that had caught my eye. I did the #nomirrormakeup challenge with a surprising level of success (although it's not a habit I have since adopted), I posted a video on the #voiceofmums theme about what being a mum feels like and we had a great day out at the Sea Life Centre and even met some of the Octonauts. Cool mum bonus points. I also asked the question what are we blogging for, which was really well received and it was really interesting to talk about this with other bloggers. Fewer posts this month but looking back at this post, I can see why! 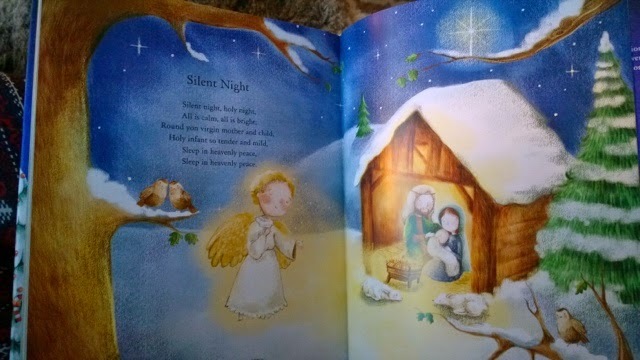 My head was already filled with thoughts of Christmas and I also reflected on how Ethan was (and is) becoming his own person. My favourite post has to be the one where I took one of Ethan's toy figures, Eddie, and had some fun taking photos of him going on an adventure around the house. I sound slightly potty I know, but the end result was great and I made a photo storybook for Ethan from Christmas from these photos which he really seems to love. 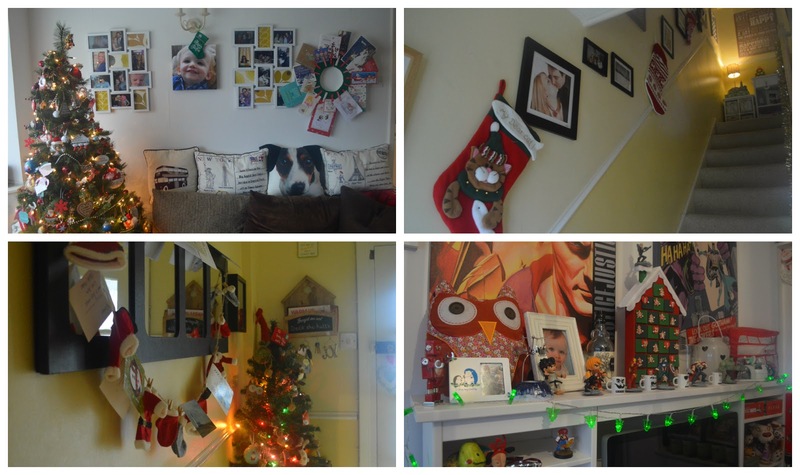 Still fresh in my mind and just two days left, this month has been all about Christmas (and getting over a week of totally unplanned and incredibly inconvenient illness due to an ear infection and food poisoning - fun times!). We went away with our fab friends again to celebrate mock Christmas in the most amazing cottage in yorkshire, we visited Santa not once, twice or even three times, but FOUR (excessive, I know, but we went to so many places this month - The Magical Journey, Webbs, West Midlands Safari Park and Umberslade Farm - and the big guy in red was always there too) and we even took Ethan on his first train journey. 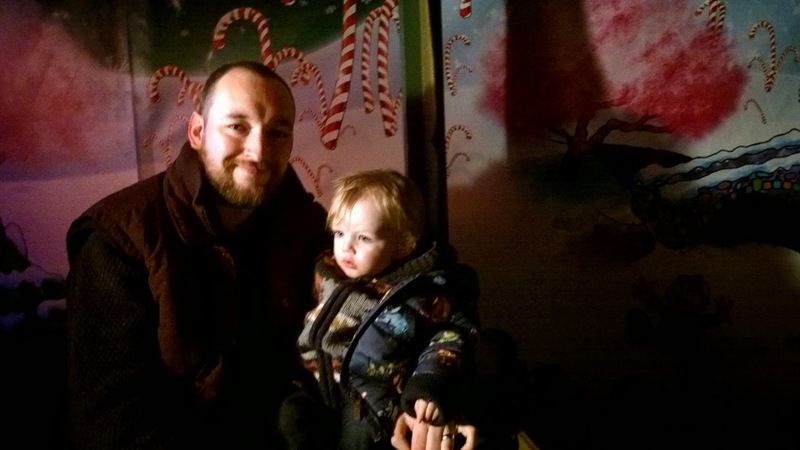 We're enjoying a nice long break as a family and you can read all about our Christmas in my last post. Wow... there you have it! 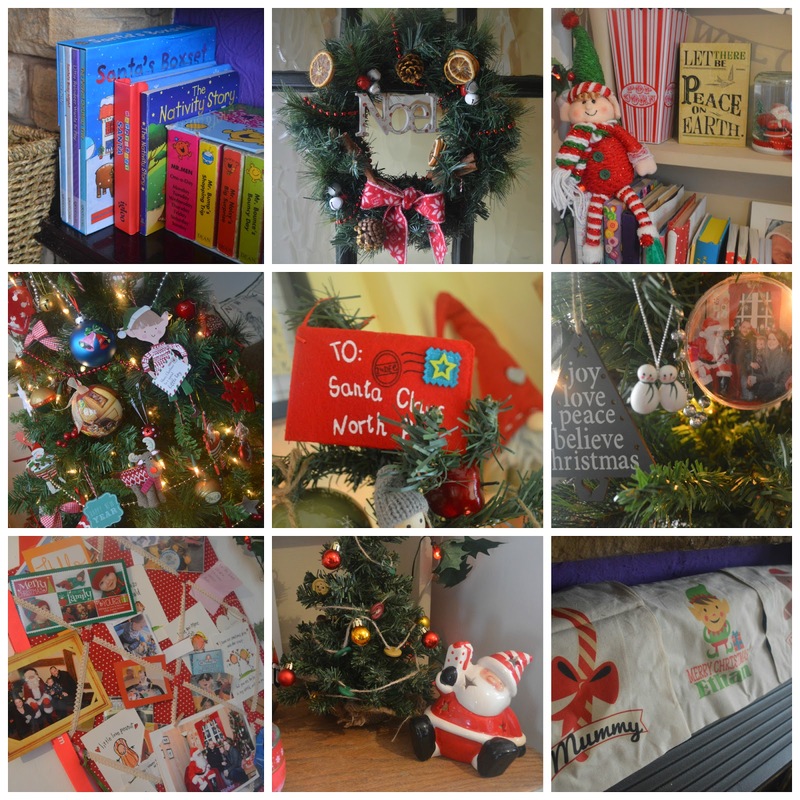 My blog year in review! It really has been a bumper year and looking back at everything we have done and how Ethan has changed is quite mind-boggling actually. I've got my latest letter to Ethan to share soon, as I missed month 19 so thought a summary of the past year for month 20 would be a good idea, and I have a new Linky I want to launch for 2015 so watch this space for more details. Christmas. A time to eat, drink and be merry with your nearest and dearest. I've had a lovely holiday so far and hope you all have too. I've been a little lazy, a bit of a piggy and generally just very chilled. We've spent a lot of time at home, playing with our new toys. Ethan with his new Happyland sets, including a train, a submarine and safari jeeps, plus his new artists' table. books, remote controlled Thomas the Tank Engine and a few other bits and bobs. Hubs with his new TV, games and blurays. 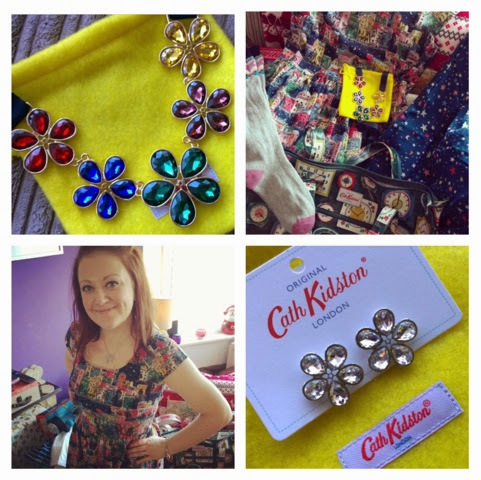 Me with my new Cath Kidston dresses and jewellery, my first Bare Minerals set and a few sale bargains on their way to boot. We've been very lucky this year, all getting things we needed or wanted and not having anything that we don't, and we really appreciate everything we have. We've also had lots of time together and that's something we are even more grateful to have. We've been able to see family too, although not as much as we would like, and we still have another week off to enjoy our little family bubble. 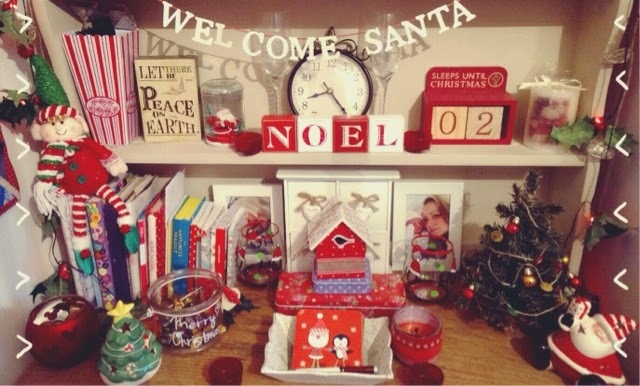 'Twas the day before Christmas and all through our house we're getting excited for the man in red's arrival. 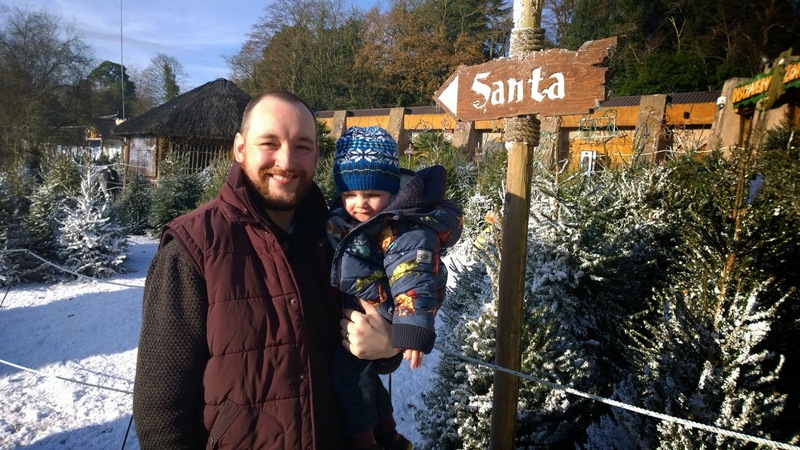 You can read all about our Christmas plans in yesterday's post and you can even smile at the photos of my little elf, exactly one year ago. 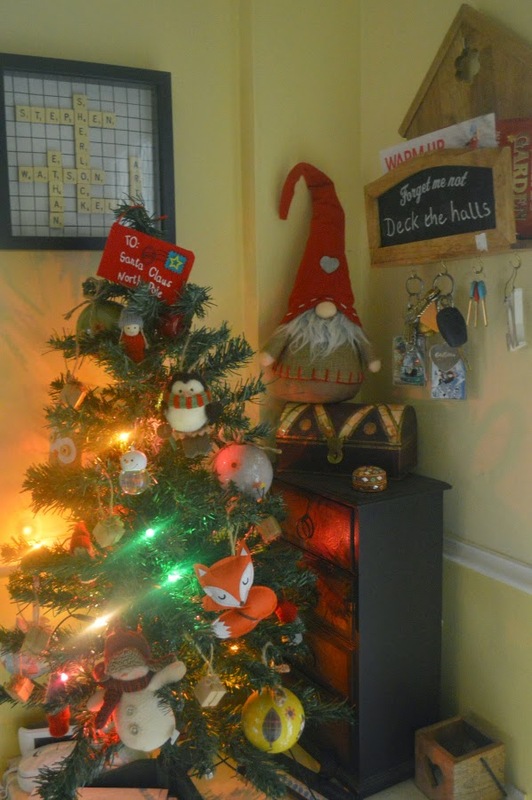 This is a quick post to say a very merry Christmas to you all, whether you've read my blog for a while or if this is your first visit and to say I hope Santa brings you everything you wished for but most of all, that you get to spend Christmas with the ones you love. A very merry Christmas to you all and to all a good night! I'm writing this wearing my festive PJ's, in bed with my festive duvet and with a mug of festive spiced coffee, determined to make merry and get this Christmas show back on the road. The reason for my blog neglect is I've been unwell with an ear infection and possible food positioning to boot, so I lost my last full week before the Christmas break meaming I'm a bit behind on my preparations, laundry and general merry making but that all stops today. 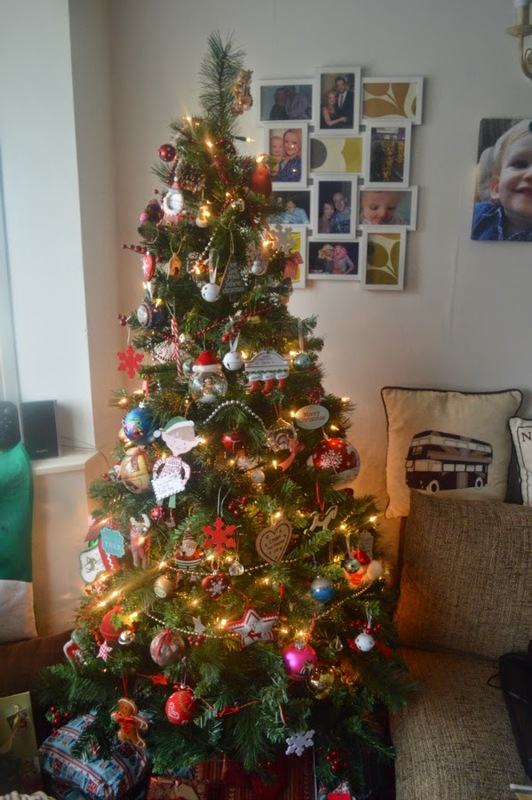 It's officially the Christmas holidays now for hubs and I, our little man is at home (and calling sleepily from his cot in his room as I type) and we have some serious seasonal fun to get underway now. We've had a lovely month (being ill aside) and have enjoyed lots of things as a family, from The Magical Journey (which saw us appearing on The One Show), our trip to Manchester, Webbs, Umberslade Farm and West Midlands Safari Park to our Mock Christmas celebrations with friends in a Yorkshire cottage and decorating our home to resemble something pretty close to Santa's grotto. Now, it's time to relax and unwind in the company of those I love the most. Today will be spent being a bit lazy, watching Christmas films, reading Christmas stories and generally slipping into the seasonal feeling. I have just a handful of presents left to wrap (some of which will be treated to this personalised wrapping paper we had made featuring photos of our Christmas elf) and we have our home delivery coming with all the final bits we need for the festive feasting that will be taking place over the next few days. Tomorrow, Christmas Eve, will be another day at home but our excitement will be ramping up for sure. We have my in-laws, sister-in-law and her fiancé and my brother-in-law all coming over for a Christmas cocktail or two and some nice nibbles and I can't wait. We hosted a mini party last Christmas Eve for them all and we've decided to do the same again, now that I have the will and my appetite back. I'm planning a small feast of Gold Crumble cocktails along with buffalo chicken wings, BLT lettuce cups, a selection of meats, antipasti and cheeses, cheese and chive muffins, freshly baked bread and some chocolate mousse bites - my mouth is watering at the thought of it all. Once we wave goodbye to our family, we'll settle down in our new Christmas PJ's with a mug of Bailey's hot chocolate (just normal hot choc for the boy) to watch The Muppet Christmas Carol, as per our tradition, before it's off to bed before the man in red arrives. We are having Christmas Day at home, just the three of us, and we'll be spending the day eating, drinking and no doubt opening Ethan's presents in shifts, if last year is anything to go by. I'm making sausages, bacon and eggs for breakfast, washed down with some Buck's Fizz, then the main event sees turkey for the big man and little man whilst I have some orange honey glazed lamb, with all the trimmings (parsnips, sprouts, goose fat roasted potatoes etc) followed by an Irish Cream profiteroles cheesecake extravaganza we found in Asda which tastes like ACTUAL HEAVEN. If we have room later (challenge accepted), we'll tuck into a buffet of meats, cheeses, salad and pickles with a gloss of port. 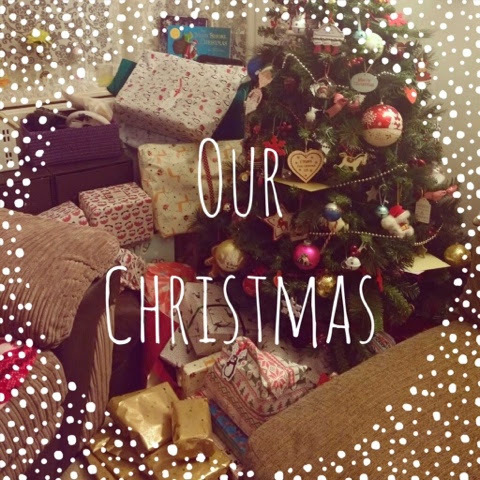 We will FaceTime my Dad, call my Mum and tell all our friends and family merry Christmas and how thankful we are for their cards, gifts and support throughout 2014. Boxing Day then sees us at the in-laws, dressed in our beach finest for their Margeritaville themed party, complete with hot tub and a well-stocked cocktail bar. I realise as I write this that a) it's cutting it a bit fine and b) if you like the sound of it, there's not a lot you can do until next year, but we only just received our latest Parragon Books addition to Ethan's library, as part of the #bookbuddy scheme, and it's just too beautiful not to share. 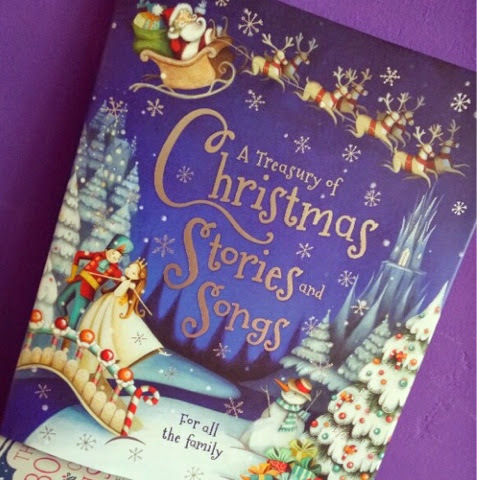 Bringing together all the best Christmas tales, poems and carols, the Treasury of Christmas Stories and Songs is the perfect festive companion. It's full of beautiful illustrations and vivid colours and it's just a stunning book to have on display and to read with your little one. 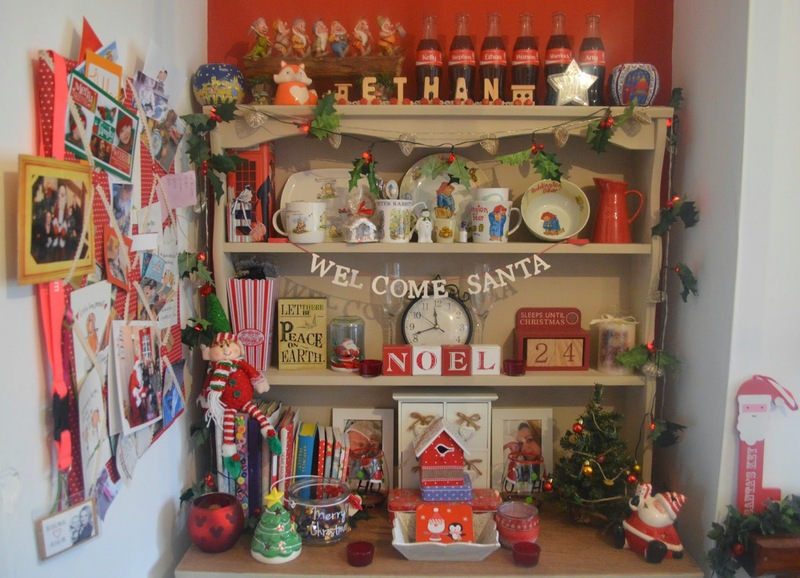 We have ours up on the mantlepiece and Ethan keeps pointing at it saying 'Anta!' 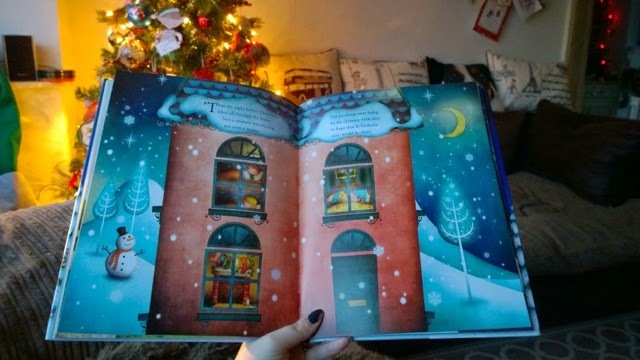 excitedly (he's obsessed with Santa but can't pronounce the 'S'), wanting to flick through the book again, usually to the 'Twas The Night Before Christmas story. I'd share photos of Ethan with the book but they're all blurry and when he's got his hands on it, no one can prise it away from him! 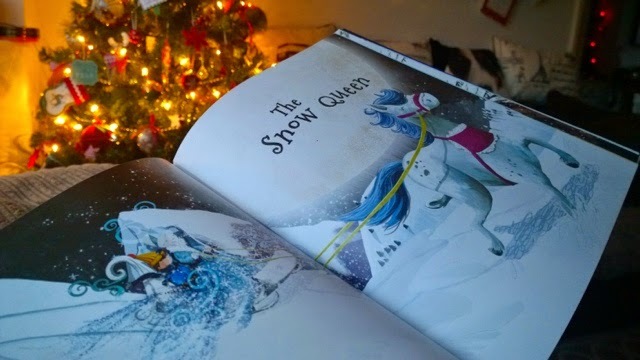 Last year, I started Ethan's collection by looking for festive stories and special treasuries (I always loved them as a child and have a thing for old books) but I am so glad to have found this book as it's just really beautiful and something special to enjoy. It's the only Christmas book you need to buy if you want all the classic stories in one place and it's sure to be treasured over the years. 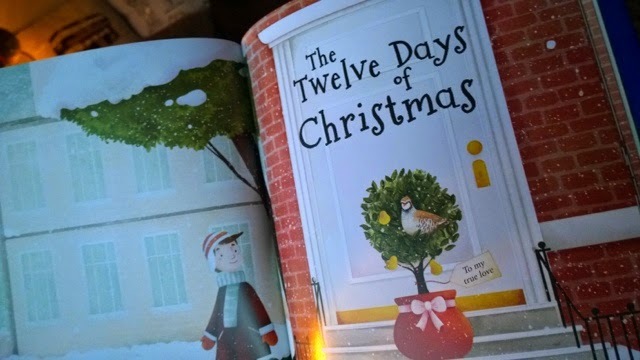 I can just see us in the future, gathered around the tree, picking which song to sing or Ethan in his festive jimjams, snuggled in bed, asking for us to read his favourite story for the fourth time before going to sleep and dreaming of St Nick. So, apologies again if you've fallen in love with this book and there's no time to get it before Christmas - just be sure to pick up a copy, at the frankly ridiculously low price of just £6, for next year. Where can you see Santa on Safari? 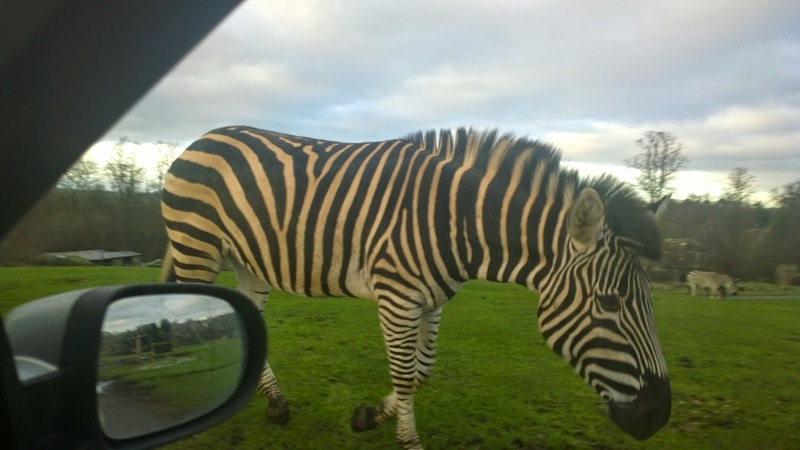 West Midlands Safari Park! When you think of Santa, the last thing that probably comes to mind is a safari. No, Father Christmas lives at the North Pole and wears a big furry red suit, hat, gloves and boots to keep out the chill. No need for sunglasses! 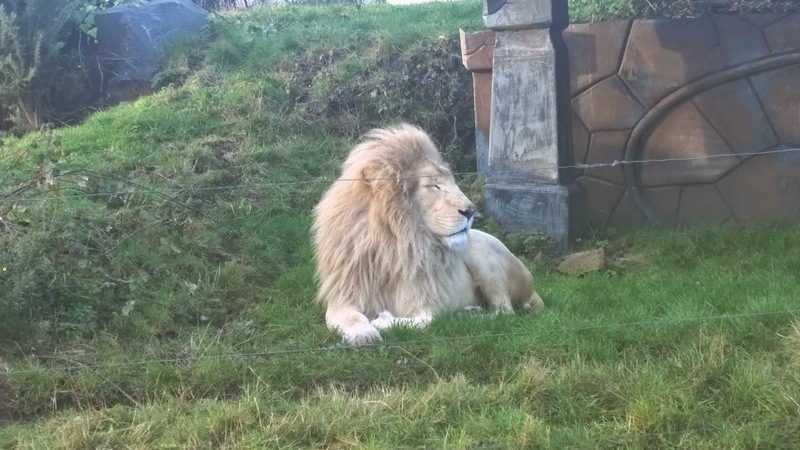 Well, right now, Santa IS on safari and can be found at West Midlands Safari Park. I know, because we tracked him down and saw him and if you're quick, you can too. 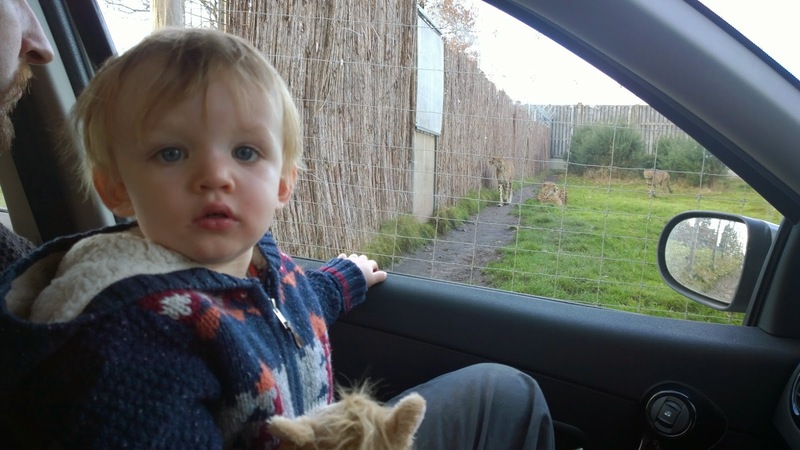 I've wanted to take Ethan to the safari park for a while as I knew he would be really interested to see so many different animals up close and both hubs and I enjoy this kind of day out too. 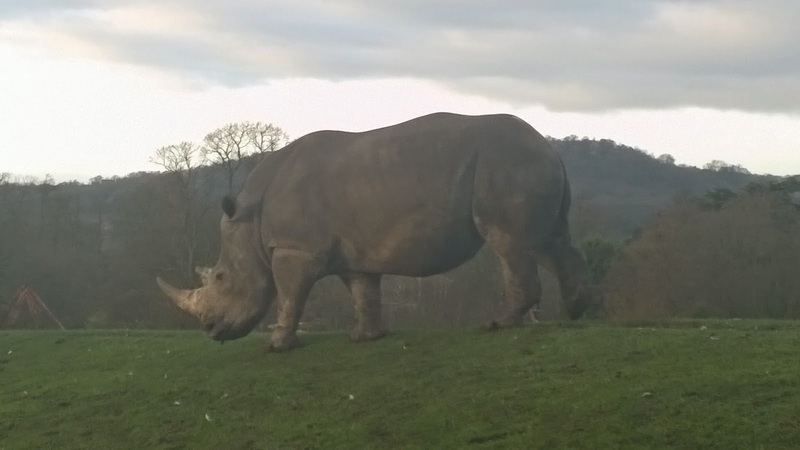 We have gone to the West Midlands Safari Park fireworks for a few years now as they're just fantastic but we were keen to pop back for the full safari experience and going to see Santa was a perfect excuse. We made an appointment online, arrived in plenty of time and stopped off at the Discovery Trail cafe for a quick bite to eat plus a complimentary mulled wine / hot chocolate and mince pie (part of our ticket). 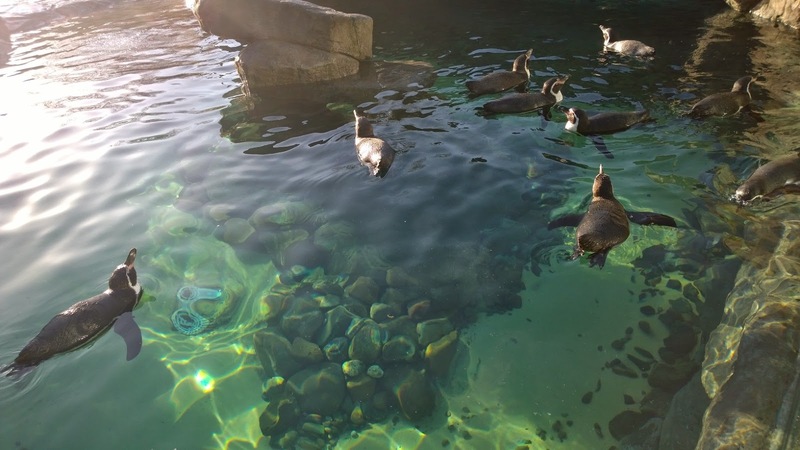 We then headed to see the penguins and were just in time for the sealion show - we really felt for the assistant who was doing her best not to slip into the pool in the cold conditions! 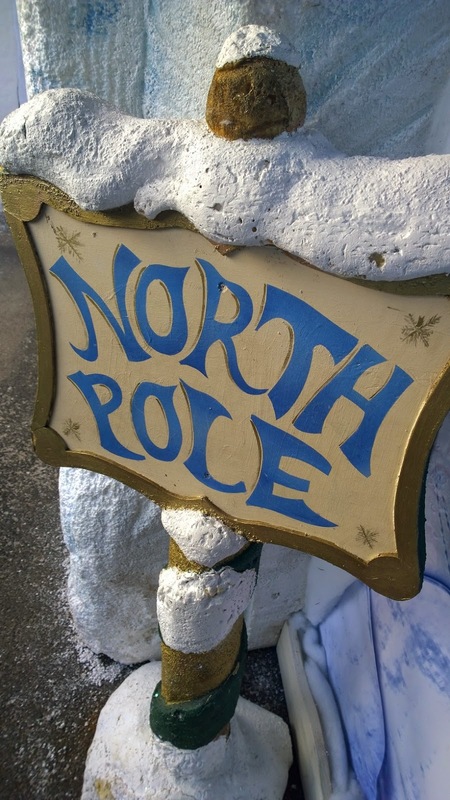 We then followed the signs to the North Pole at our allotted time and before we knew it, we were climbing on board a little ride that would take us by magic to our destination. 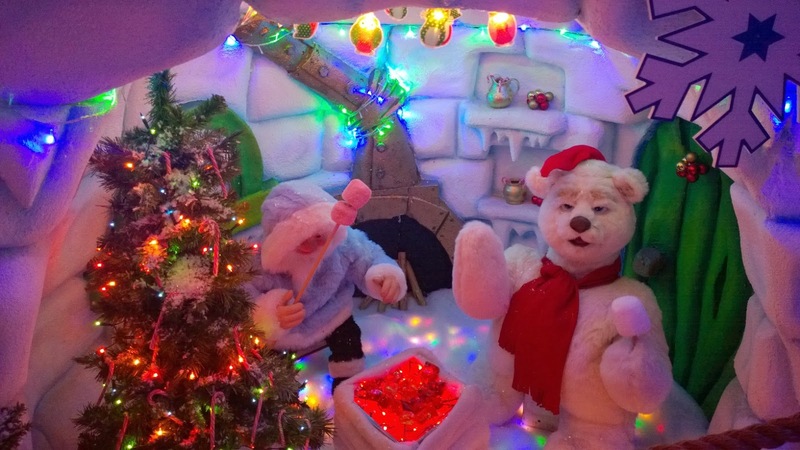 We then had a grotto to walk around and enjoy and we were really impressed by how everything had been put together. It was the biggest grotto we have been to and we were really impressed. The man himself was jolly and Ethan was very happy to see him. We posed for a family photo then were taken to pick a toy of Ethan's choosing. 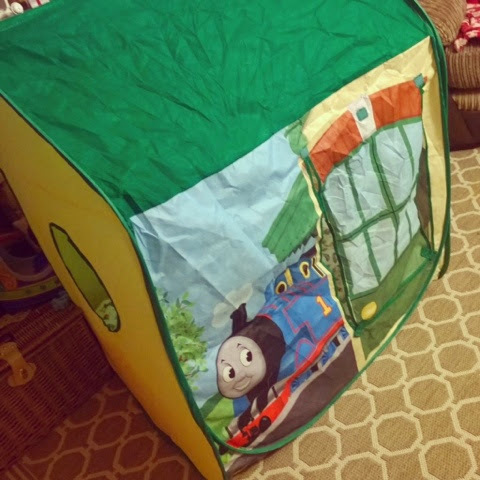 I do like this element that some grottos have as it means that your little one will get something that's age appropriate and that they want to play with. There was a good range and Ethan decided he needed another stuffed toy for his collection, becoming rather taken by a horse. After leaving the North Pole, we walked back through the Discovery Trail, picking up a hot chocolate on the way, before getting in the car to drive around the four mile long safari. 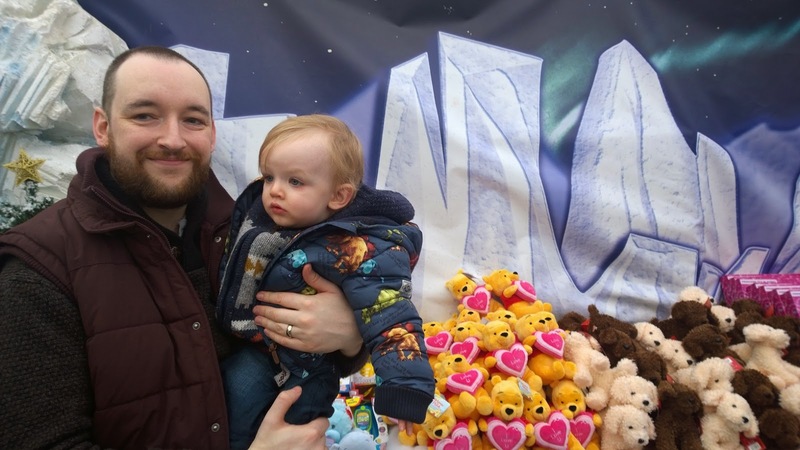 Even though hubs and I had been before, it's the kind of thing you want to go back and enjoy again and with a little one in tow, there's lots to see, do and learn. 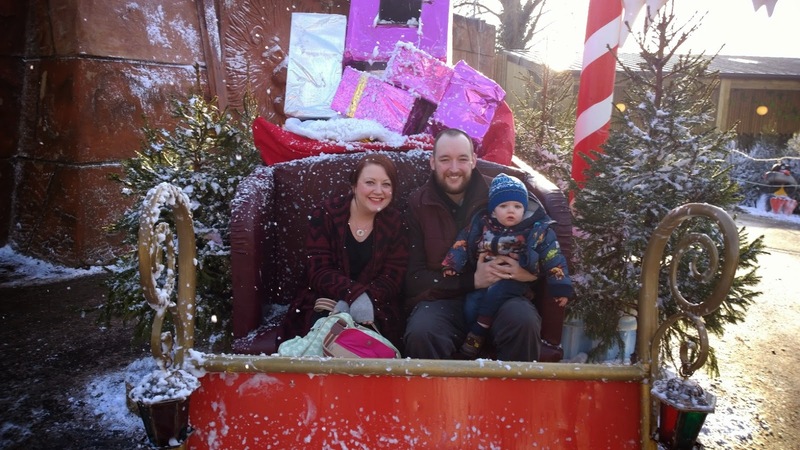 We had a thoroughly lovely day out and we were impressed by the Santa experience which was enjoyable and great value for money when you take into account the grotto, Santa himself, the gift and the fact that you have a whole safari park to enjoy as part of your ticket. There's some special prices available online too, around £12.74 for children and £14.44 for adults, so take a look. 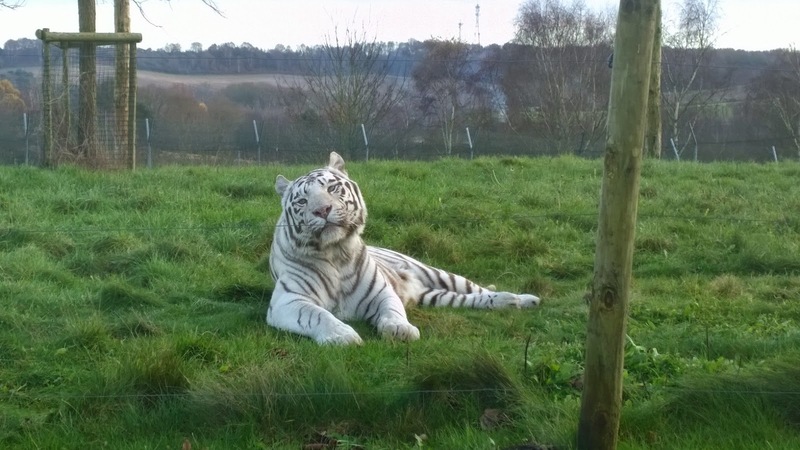 If you're still to see Santa and want to make a day of it, then I really think you'll love the Santa Safari. And if you have, why not go again? He's there until Christmas Eve.